This is a QKR Stampede image (sister company of Eureka Stamps). It is "Bunny & Butterfly" (digi6805). I colored the image with Copic markers, then cut it out with a Spellbinders die. I cut the box out using my Cricut Explore and the Close To My Heart Cricut Artiste cartridge. The ribbon is from Really Reasonable Ribbon. 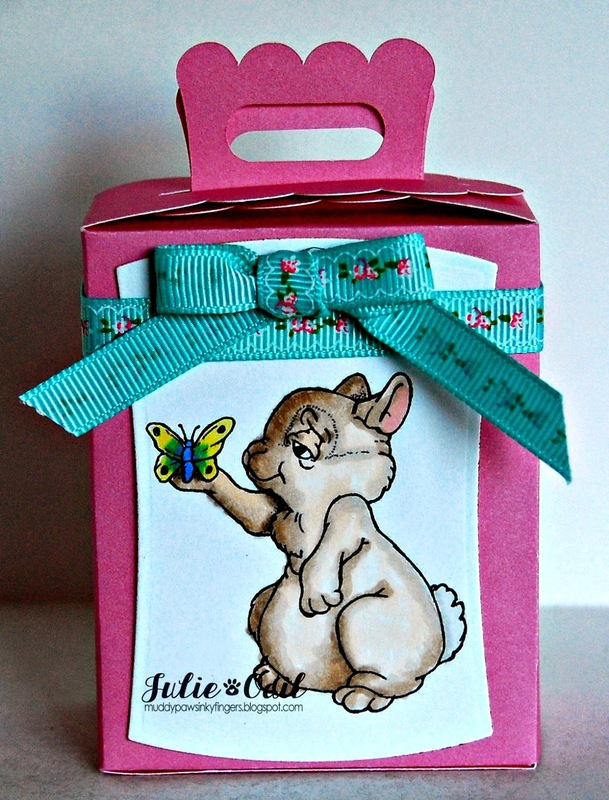 Oh my word Julie I love, love that image and what a gorgeous box you have made such a lovely vibrant pink, fantastic project. A darling little bunny! A very sweet treat!